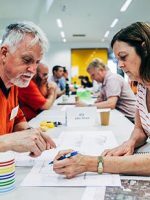 The average Australian household spends over $2,000 a year on gas and electricity bills. 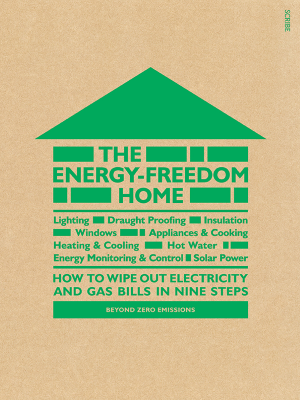 Now, not only can you reduce those bills, but you can even wipe them out, while making your home more comfortable – The Energy Freedom Home shows you how. SKU: TEFH. Category: Books. 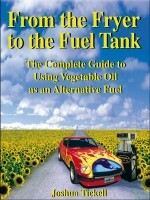 Tags: books, building, Energy Efficiency, Energy saving. 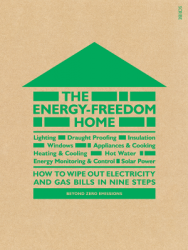 Containing detailed, easy-to-follow descriptions of practical problems and solutions, plus over 80 colour photographs and diagrams, The Energy-Freedom Home is the perfect guide to help home-owners liberate themselves from costly and non-renewable sources of energy.